If you’re running the Ice Cream Sandwich operating system, also known as Android 4.0, on your smartphone or tablet, you can run along right now and download Chrome for Android. “Like the desktop version, Chrome for Android beta is focused on speed and simplicity, but it also features seamless sign-in and sync so you can take your personalised Web browsing experience with you wherever you go, across devices,” wrote Chrome-focused Googler Sundar Pichai on the company blog. Similarly, Firefox for Android, which started out as a mobile project codenamed Fennec, brings the famous Firefox Sync (which synchronises tabs, settings, and personal data from Firefox on any other platform), a streamlined interface, and blazing speed. Far be it from Google to let Mozilla have the upper hand in Android mobile browsers, though. It’ll be interesting to see how the two browsers compare — at least on Android 4.0 devices. 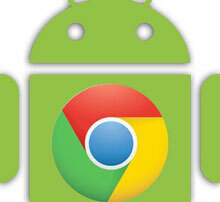 We’ll have to wait and see whether Google ever rolls out Chrome for Android for 2.X and 3.X devices.